Our Oct 3 blog post by Gary Metcalf announced Saybrook’s plans to offer a new certificate program in Crisis Management, based on the important work of Ian Mitroff. Mitroff is a systems guy, someone who understands that planning, preparing, and responding to the crises we are experiencing today need a new approach. Angie’s list recently published a recap of some of the stats on Crises, and they are staggering. These include having eight EF-5 tornadoes in the U.S. in the last three years; $62.2 billion insured losses for Hurricane Katrina, and $6 billion insured losses from tornadoes/storms in the U.S. from January-June 2013. An interesting one in terms of planning is that an estimated 4.2 million homes are at risk of damage caused by hurricane storm surge flooding in Florida, New York, New Jersey, Virginia, and Louisiana. And these are only the natural disasters. Crises also include the mass murders that have taken place at schools across the U.S., hospitals that lose power, or computer systems that crash or are hacked. How do we prepare, protect, and recover from those tragedies? How do we create communities, schools, organizations, governments that are safe places for people to live and work? The reality is that because systems thinking and scenario planning are fairly new processes and not well known by many, we are not prepared to meet and recover well from crises. We don’t have the capacity to take care of people who are affected physically and psychologically. We really don’t even know how to have the conversations that help us prepare and respond well. Mitroff emphasizes that crisis management is quite different than risk management. He notes that from a risk management perspective, 9/11 had very low probability and thus may not have been on a risk manager’s radar. Crisis management is about planning for the unthinkable, which is what we experiencing more today. Crisis management helps organizations evaluate their vulnerabilities and strengths and take action to build their capabilities to protect, respond, and learn from crises. Mitroff also emphasizes that companies who build this capability are more profitable and have cultures that support learning and innovation. Saybrook’s certificate program in Crisis Management will prepare participants to think systemically, connecting the dots in ways that non-systems thinkers cannot. Participants will learn how to anticipate the effects crises have on people and the chain events that often follow. The communicative skills people will learn in this program will have a positive effect in their lives and work, across their organizations and communities as they can support new ways of engaging others in planning and learning. 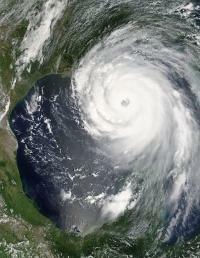 We all remember watching in disbelief what transpired after Hurricane Katrina. No one, including the President of the U.S. and the government agencies at all levels knew how to respond, protect and recover well from that disaster. It was a time of disgrace for the American people and we did learn from it. But more disasters continue to hit us every year. More people we know are affected by them. The destruction is eroding our society, as people become more fearful and lose faith in our government’s ability to aid a quick recovery. We need new knowledge, skills, capacity to meet this challenge. We hope Saybrook University’s role in offering this program can provide support.